With the Olympics underway, success and achievement are big topics. The achievements of these athletes are inspiring to watch, particularly to young people with aspirations of their own. Some of your students may have their sights set on the Olympic podium, others may have plans for careers in the arts, law, medicine or social change. Olympic athletes have a skill that all of your students need, regardless of their personal aspirations: goal setting. Olympians know how to set the bar high enough to increase their motivation and achievement without setting themselves up for failure. 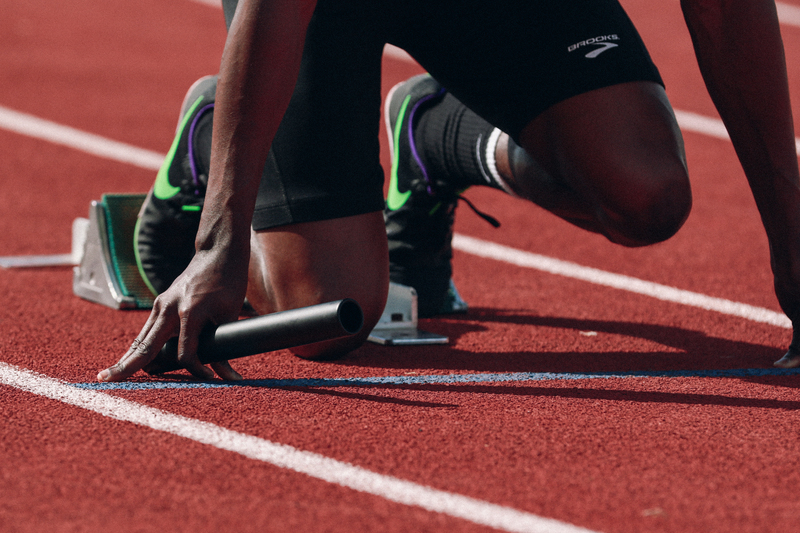 Listen to athlete interviews, and you will notice that many of their goals are to do their personal best or to overcome a specific challenge. As we head into September, it’s a good time to think about how classroom goals can set your students up for success. Students who already have personal aspirations will benefit from developing goal-setting skills, and students who have not yet developed personal aspirations will be empowered to start setting their own goals. Brainstorm a list of goals with your students, and then select one to work on through the fall. As the teacher, guide them to list appropriate goals, but avoid directing the process too thoroughly. Allowing students agency in the selection of goals will mean they are committed to the process. When students are committed to goals that they set themselves, they are far more likely to self-regulate their efforts. Once you have chosen a goal, come up with action items, measures of success and a schedule for goal evaluation. The above can also be your action items if you choose not to use the SMART goals framework. At this stage, you will want to record the classroom goal and put it up somewhere the students will see it daily. Have students write the goal in their own notebooks as well, and allow time for them to record how they will work toward the goal as an individual. Studies have shown that people with written-down goals are 50% more likely to succeed than people without goals. During your scheduled goal evaluation, look at your measures of success, but also encourage anecdotal input. Ask students to share stories about the work they have done toward achieving their goal. At this stage you can encourage them to consider goal revision. If the program is going well, you can make the goal more ambitious, as long as you stay within the bounds of what is realistically achievable. Another way to teach your students about goals is to model goal setting for them. Participate in your classroom goal and talk about your efforts. Or tell them about a personal goal and discuss the challenges you have faced achieving it. It’s important for kids to feel comfortable having setbacks, and the best way you can make them feel comfortable is by sharing your own. By guiding students through this process and encouraging them to write down their goals, you are giving them an advantage. Goal setting is a skill that will help your students realize their aspirations and give them the confidence to imagine their own success. And maybe you’ll be the teacher that they think of when they look back on their path to Olympic glory. 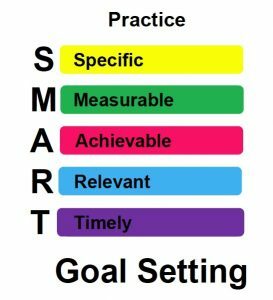 If you are looking for a framework for a reading goal, read SMART Goals in the Language Arts classroom on the Orca educational site. 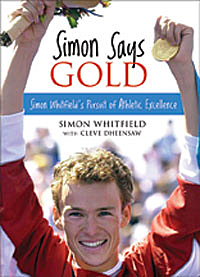 For students with dreams of the podium, check out this reading exercise from Simon Says Gold: Simon Whitfield’s Pursuit of Athletic Excellence in which coach Lance Watson, who coached the Olympic champion triathlete for ten years, present his strategies for goal fulfillment.